Mrs. Martha O’Hara, 101, of Kincaid, IL passed from this life at 4:08 P.M. Thursday, January 25, 2018 at Life’s Journey Senior Living Center, Taylorville, IL. She was born on October 23, 1916 in Neenah-Menasha, Wisconsin the daughter of Thomas P. and Goldie M. (Cook) Jones. Martha married John P. O’Hara on June 28, 1939 in Kincaid, IL and he preceded her in death on December 19, 1995. Mrs. O’Hara was a member of St. Rita Catholic Church, Kincaid, IL. She also belonged to their Alter & Rosary Society. Martha enjoyed Bowling, Bingo, The Mother Singers, and Music in general, sewing, and gardening. According to her daughters “She was the best mother ever”. Everyone was always welcome at her house. 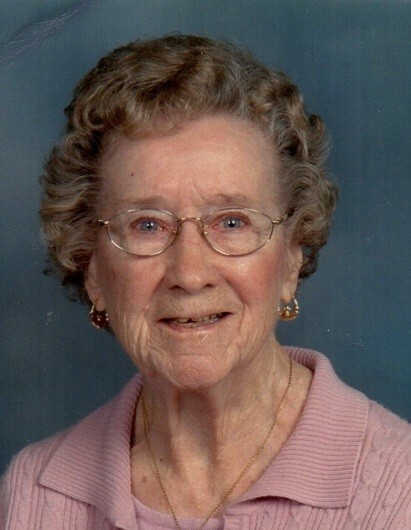 Besides her church, some of her favorite moments were spent with her babies, whether grandchildren, great grandchildren or even her great great’s. Surviving are 7 daughters: Ruth Ann and husband Norman Ward, Rita and husband William Meyers, Patricia and husband Gary McWherter, Helen and husband Thomas Summers all of Taylorville, IL., Karen O’Hara Riva of Kincaid, IL., Maureen and husband Mark Allen of Cadillac, MI., Sheila and husband Mark Smith of Fort Pierce, FL., along with 22 grandchildren, 37 great-grandchildren, 4 great-great-grandchildren and several nieces and nephews. She was preceded in death by her Parents, Husband John, a daughter Lisa Conrath in 1995, 1 brother, 3 sisters and a son in law Ron Wake in 1973. Funeral Mass will be held at 11:00 A.M. Tuesday, January 30, 2018 at St. Rita Catholic Church, Kincaid, IL. Monsignor David Lantz will officiate. Burial will follow in Calvary Cemetery, Pawnee, IL. Visitation for Mrs. O’Hara will be held from 9:00 A.M. till 11:00 A.M. Tuesday, at the church. Masterson Funeral Home and Cremation Service, Kincaid is assisting the family with arrangements. Memorials in loving memory of Mrs. Martha O’Hara are suggested to St. Rita Catholic Church, P.O. Box 439, Kincaid, IL 62540, American Macular Degeneration Foundation PO Box 515,Northampton, MA 01061-0515, or Lupus Foundation 4640 Shenandoah Ave, St. Louis, MO 63110.